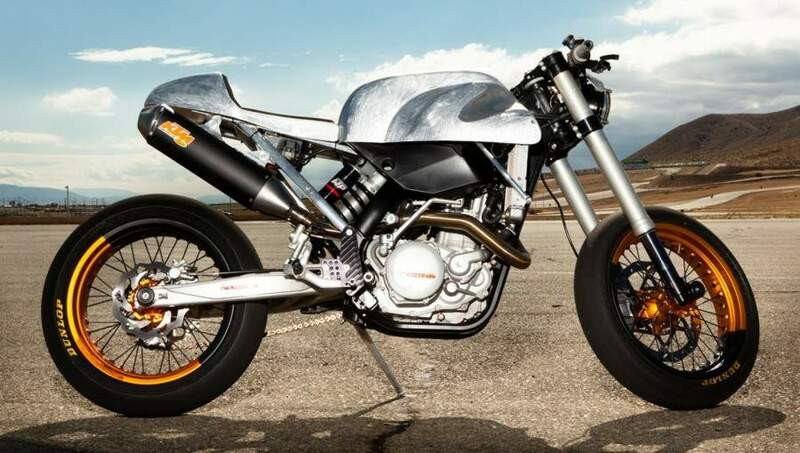 Setting out to re-invent the idea of a no-frills, low-budget cafe racer, just with modern performance and handling, Roland Sands converted this KTM 530 EXC using little more than some new bodywork and shortened suspension. Despite the transformative results, the idea is that you could probably do something like this at home. 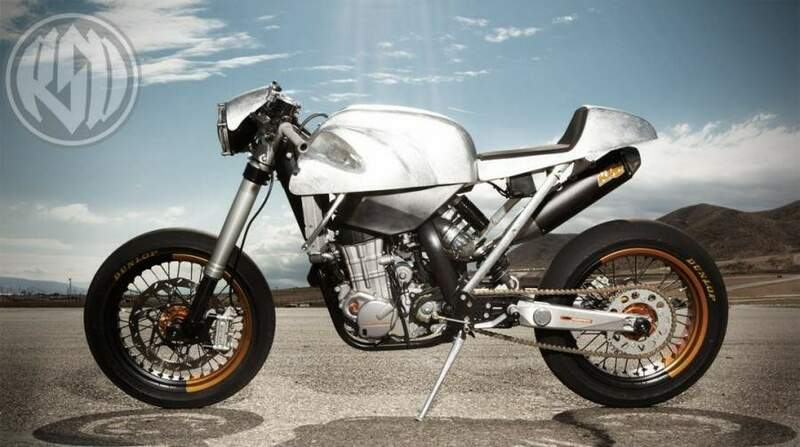 Where most bikes built in the cafe mold end up with retro handling and performance to suit the looks, the idea here is to create a bike that performs like a Super Single. We can see clear influence from Roland's mad CR500 streetfighter, but the headlight looks like something Shinya Kimura could have made, it's elaborate and mechanical in a way that contrasts the rest of the bike's simple lines. The rear shock is the stock item, lowered by RaceTech, while the front forks are off a KTM supermoto, but have also been lowered accordingly. That's pretty much the extent of the mechanical work, the rest is pure style. "The bike is super fun to ride, it's light, agile, torquey and stylish," describes Roland. "It does everything you want a good road bike to do....it just does it better."